A photo exhibition and film screening were held at the RCSC on Mar. 6. 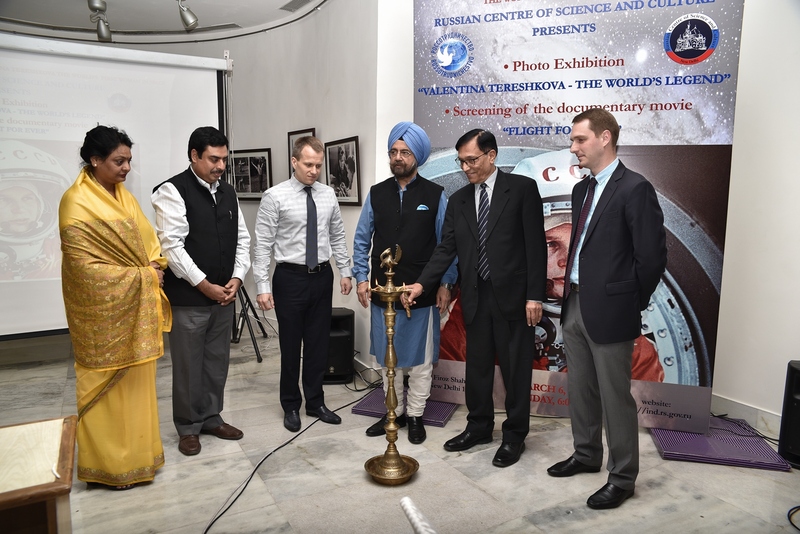 The Russian Centre of Science and Culture (RCSC) in New Delhi, on Mar. 6, marked the 80th birthday of Valentina Tereshkova, the world’s first woman cosmonaut. Tereshkova made history on June 16, 1963 when the Vostok-6 spacecraft, which was manned by her, was launched into orbit. Russian culture centres across India will hold events dedicated to Tereshkova in March.